Thanks to Wayne Hubert for a great interview and book review! 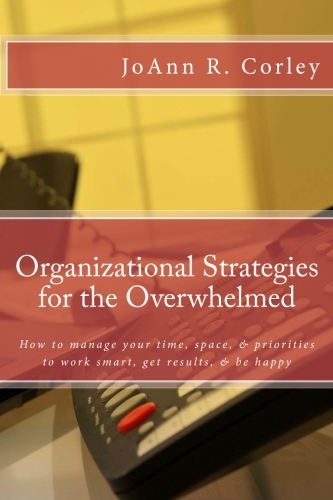 "Overwhelm is the emotional response that is triggered when your brain gets a signal that too much is going on for you to reasonably process and thereby threatens the desire and possibility of getting things done in a way that you think you should", writes speaker and coach JoAnn R. Corley, in her very practical and results oriented book Organizational Strategies for the Overwhelmed: How to manage your time, space, & priorities to work smart, get results, & be happy. The author describes how being overwhelmed, in the face of layoffs and the remaining people being asked to do more, is the new normal. As a result, JoAnn Corley shares ideas and strategies for regaining control over time, space and work priorities.